Channel 4’s factual one-off The Interrogation of Tony Martin is a groundbreaking film billed as the first verbatim drama. Writer/director David Nath reveals how it was pulled together from real police interview transcripts. Tony Martin is a hard man to find. The subject of a new Channel 4 factual drama, he lives a remote existence and rarely answers his mobile phone. Even his friends might not hear from him for weeks at a time. So it’s easy to see why making The Interrogation of Tony Martin took up to two years, with the producers often resorting to staking out his home or other locations he was known to frequent in the hope of simply bumping into him. If his name rings a bell, it’s because he was turned into a British cause celebré after tragedy struck one night in August 1999. The farmer from Norfolk became headline news when he shot dead 16-year-old burglar Fred Barras, who had broken into his home. At his trial, he argued he used reasonable force to defend himself and his property, and his subsequent murder conviction provoked national outcry. After a successful appeal, his conviction was reduced to manslaughter on the grounds of diminished responsibility and he was released from prison after three years behind bars. Almost 20 years later, his case is still recalled every time a similar incident occurs and the debate over the right to protect your home resurfaces. 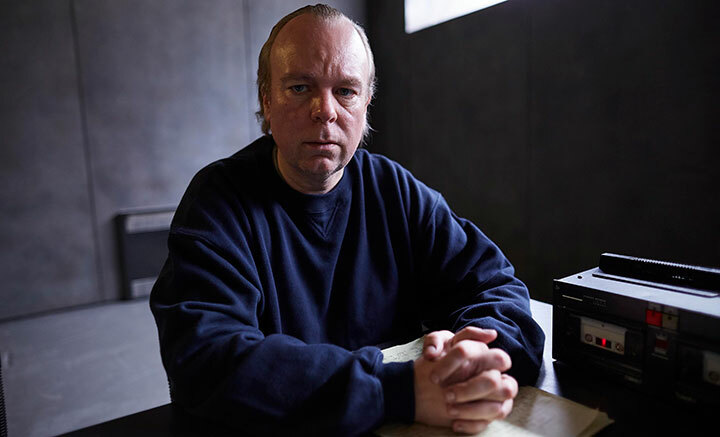 Martin has told his story before in numerous documentaries and interviews, but Channel 4 factual drama The Interrogation of Tony Martin goes one step further, using the transcripts of his police interviews conducted over three days following his arrest. In fact, the script is an entirely verbatim account of what happened between Martin and the two policemen who questioned him, all within the confines of a featureless and unremarkable concrete grey room. Steve Pemberton (Inside No. 9, The League of Gentlemen, Benidorm) stars as Martin, with Daniel Mays (Line of Duty) and Stuart Graham (The Fall) playing the police officers and Tristan Sturrock as Martin’s solicitor. The drama is written and directed by David Nath (Unspeakable, The Murder Detectives) for Story Films. The film originated as a verbatim drama first, before focus turned to Martin’s story. 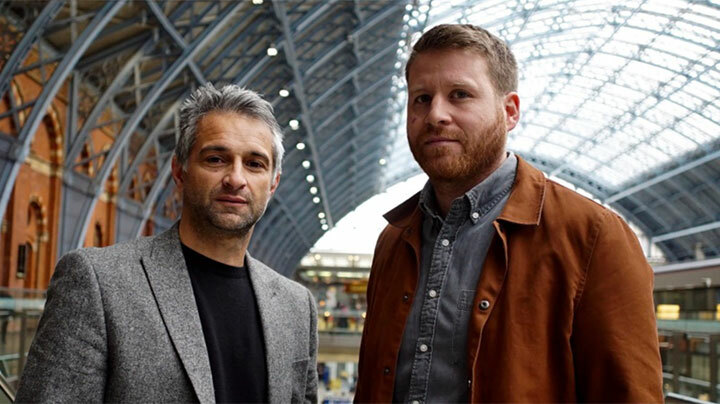 Nath recalls the broadcaster wanted a subject “that had a high profile, was quite iconic and one that had a societal reach and issues beyond the crime itself.” Martin’s case was a perfect fit. After getting in touch with one of Martin’s friends, the film’s producer made contact with the former farmer and proposed the idea of the film, to which he responded positively owing to the fact it would use entirely his own words. The production team met with Martin over a dozen times in the following 18 months, keeping him informed of the film’s progress, showing him the footage and also filming the real Martin himself for scenes that make up a post-script to the drama. In fact, Nath reveals there was no scriptwriting involved at all, with every word coming from four hours of taped police interviews that were boiled down to a 45-minute drama. By omitting parts of the conversation that head off on a tangent or that repeat previous statements, Nath crafted a narrative that remained authentic to the real conversations. The drama is supplemented by further verbatim transcripts that are used in the form of voiceovers, taken from statements provided by witnesses, Tony’s mother and his neighbour, while real news footage is also used to relay the court’s verdict. 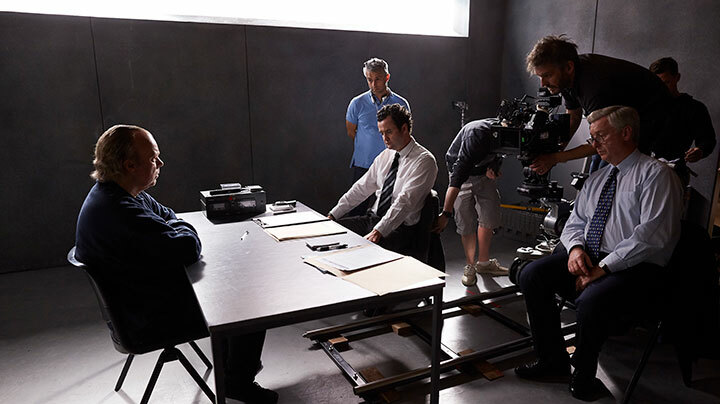 With the action largely confined to the dour interrogation room, direction provided a greater challenge to Nath, who utilises a range of camera movements to keep viewers engaged, from straight-on shots of the two policeman and Martin and his solicitor, side profiles of the characters and an overhead shot looking down on the four men and the dark table that separates them. Cutaways include images of the tape deck whirring around as it records the interviews. With four actors and one static set built inside a Bristol studio, “it’s a play; there are no gimmicks,” Nath says of the six-day shoot. “It’s all about the actors’ performance.” Minor scenes in a prison cell and a police station corridor were shot at a real station in nearby Weston-super-Mare. But by rarely leaving the interview room, the filmmaker was also faced with a sound problem — one that he overcame by introducing sound effects as Martin or the police officers describe the events that led to Martin’s arrest. Pemberton might seem an unusual casting choice as Martin, given his reputation for comedy. 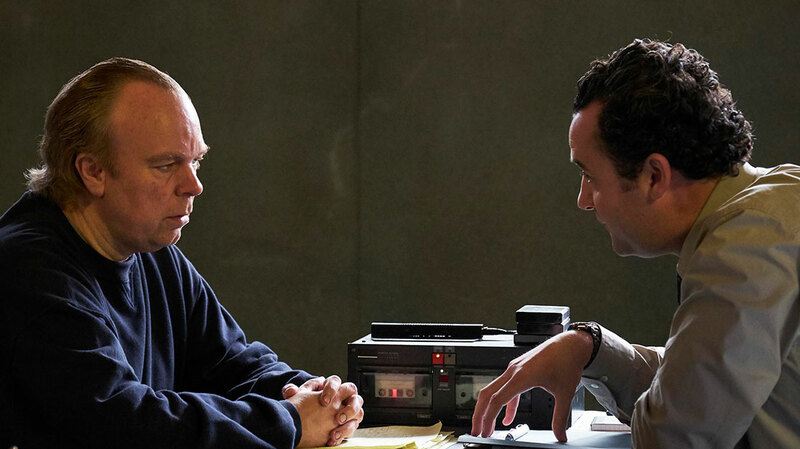 But the actor gives a toughened, forceful performance as the accused, portraying a man set in his ways and wondering why he is being questioned at all when he was the one put in a “regrettable” position. Executive producer Peter Beard had sought out Pemberton for the role after watching an episode of Inside No. 9 called Bernie Clifton’s Dressing Room, in which the actor played an ageing comedy performer who had an uncanny resemblance to Martin. The dark comedy is co-written by Pemberton, who co-created the series alongside his League of Gentlemen collaborator Reece Shearsmith. No matter how well known his story may be, The Interrogation of Tony Martin promises to show a new angle never seen before.